Triskell Software announces partnership with Blue Ball Solutions to distribute and implement its EPM/PPM solution in the United Kingdom. Paris – London, 29 January 2018 – Triskell Software and Blue Ball Solutions (BBS) announce their partnership. Benoit Mercier, responsible for EMEA business development at Triskell Software, added: “Over the past 12 months, we have strengthened Triskell Software’s position in our key geographies with over 25 new client accounts. With Triskell Software, our customers are able to switch from a project portfolio management only approach to a true multi-portfolio management solution”. 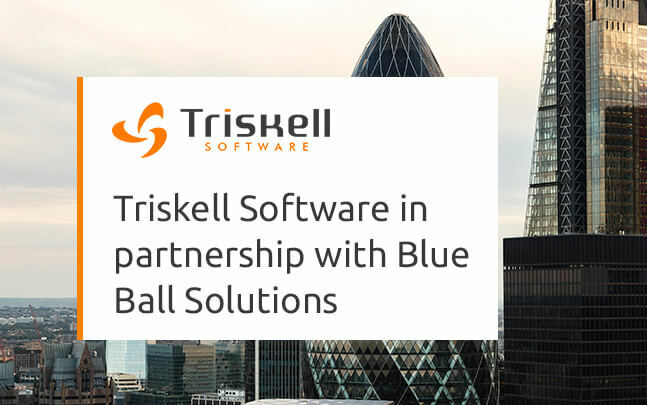 “The UK market is very important, and we are delighted to collaborate with such trusted industry veterans as Blue Ball Solutions and to continue our ambitious growth plans for Triskell Software”. About Triskell Software: Triskell is a 100% SaaS enterprise solution that elevates beyond traditional Project Portfolio Management capabilities to provide outstanding portfolio management across multiple investments such as strategic programs, initiatives, transformation programs, IT, products and services. Linking strategies, metrics and resources to the forecast and actual performance of projects, plans and resources to meet business objectives.